Many of us know individuals who came to the United States as teenagers or adults. Maybe they’ve even lived in the United States for decades, and their English language has become more and more fluent and native-like- and yet still they retain their original accent, as they had when they first arrived. Why is this? Why do people who arrive to the United States after the age of approximately 12 often “pick up” English language skills, but rarely “pick up” a more native-like American accent? Why, in particular, don’t the same rules don’t apply to children? Before this question is answered, the first thing that it is important to understand is that foreign accents don’t “fade” or “go away”; rather when someone sounds more native-like in American English they have learned a new accent. It is common to speak of “reducing” or “getting rid of” one’s accent, but this is just an expression. “Accent reduction” involves adding a new accent to a person’s repertoire, not deleting an accent from their repertoire. The process of learning a new accent shares some similarities with learning a new language. Adults can learn a new language and switch between different languages, and so too can they learn new accents and switch among them. One major difference between learning English language (i.e. grammar and vocabulary) and learning English pronunciation and accent is that people are often taught grammar and vocabulary very explicitly in English class during school, yet rules of pronunciation, stress, and intonation – the key elements comprising an accent – are rarely given as much attention, if they are even taught at all. Also, there are many excellent, comprehensive resources out there for the curious adult to learn grammar and vocabulary. High quality dictionaries and grammar textbooks are readily available and plentiful. However, unfortunately, there are fewer high quality resources in existence regarding the American accent; that is, there are few books regarding rules of pronunciation, stress, and intonation. In short, it is hard to “pick up on” something one was never taught and is given little or no opportunity to learn. Therefore, in order for adults to achieve as close to a native-like accent in American English as possible, they must go out of their way and make an effort to do so. Given this background, let us now turn our attention to this question: why do adults have to go out of their way to learn a new accent, else be stuck with the same accent their whole adult lives, whereas young children, before the age of approximately 12 years old, seem to pick up new accents very quickly? The answer lies in understanding language development in regards to phonology, or the rules that govern the sound of a language system. When people communicate in a foreign language, the sounds that they use while speaking and even the way they hear and understand others is strongly influenced by the sounds and intonations that they have heard since birth. For instance: newborns can hear and understand any sound from any world language, but at only 6 months old, they slowly begin to lose this ability. The ideal time frame in which to pick up native accent and native-level language proficiency is below the age of 3. Indeed, it is a truism that infants and toddlers pick up new languages and accents like a sponge. The window of time of the critical period of language learning that is, the time in which a child can most easily pick up a new language – starts closing at about puberty. Some even say that the critical period for learning a language’s sound system ends before puberty. This would help explain why so many people who have learned all the elements of the English language such as grammar and structure perfectly may still retain a foreign accent. By the time a child reaches the age of puberty, his phonological system is relatively solidified. So after the age of approximately 12 years old, the ability to effortlessly pick up a new language with a native-like accent sharply decreases. 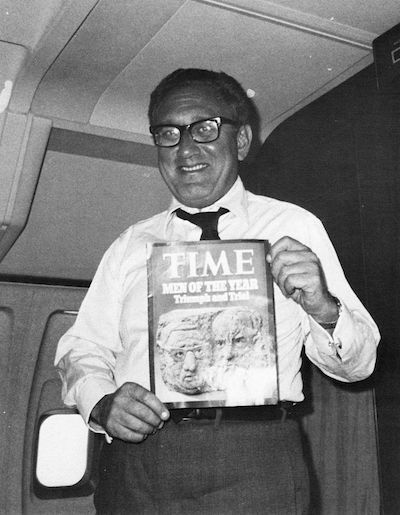 Take Henry Kissinger, for instance: he moved to the U.S. when he was 15, and his command of the English language is impeccable, yet 76 years after his arrival to the U.S., he still has a thick German accent! So now we’ve touched upon why children can pick up the accents that are spoken around them without any special training. In terms of adults: with conscious effort, such as through accent reduction training, adults can learn a new accent. Depending on a several factors, including the age the person started to learn English, the intensity of training, their natural accent imitation skills, and their motivation, adults can get closer and closer to sounding native-like in their second language. Some are even able to learn Standard American English so well that a native speaker wouldn’t detect an accent!